Friendly family, easy check in and check out. Lovely, spacious room. Definitely recommended. Run by very hospitable staff who I will remember as some of the kindest and thoughtful people we have ever met in many years of visiting the Greek Islands - a big thank you to Maria & Christos ! Very good location, walking distance from ferry terminal. Superb view from balcony. Good self catering facilities. supermarket close by. Excellent swimming spot nearby. Hotel sits smack center of the port as soon as you get off the ferry. Location was fantastic. Next to the beach with a tavern and coffee shop right there as well and supermarket. Maria made me feel comfortable from the moment I checked in. I had no issues. This place was amazing: the location, the hosts, the rooms, everything. 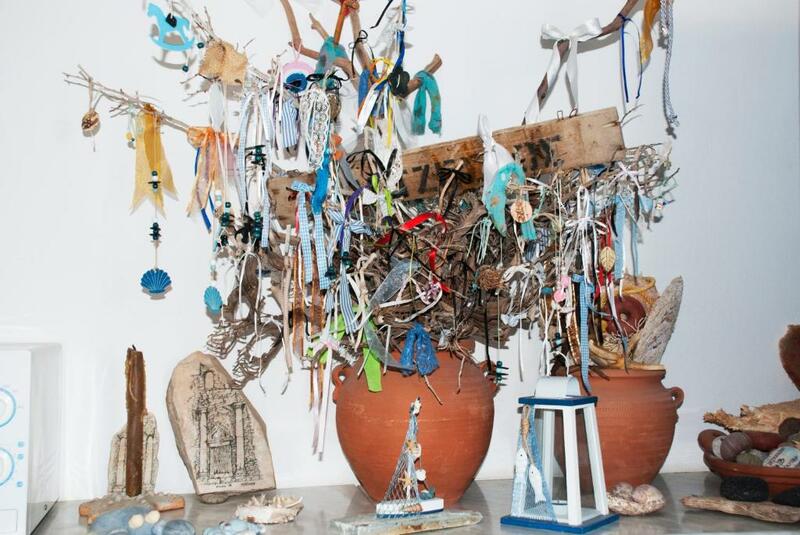 Forget about Santorini, this is the ultimate romantic getaway ever. I don't even want to write too many superlatives about the hotel and the island, because I don't want it to get too popular and crowded with tourists. I loved the remote location, the clear water, the stars at night. There were no loud drunk tourists at night, just the sound of the waves. The light pollution at night was so low we could actually see the milky way in the sky. It is the best place to relax and forget about the daily worries. I loved every second of the peace and tranquility there and felt as if time had stopped. It's a place that I would definitely return to. The location. The actual accommodation. The attention to detail. The furnishings and decor. The cleanliness. The helpfulness of the owner. The price. I love this place! The room was spacious and very well equipped. The view from the balcony was absolutely amazing. Maria and her son were very kind and helpful, they really took a great deal of care of their guests. The island was fabulous. I definitely recommend this destination. Quality nest of rooms with magnificent sea views. High level of attention to service with regard to continuous improvement. Could see that rooms soft furnishings had been updated to provide guests with fresh feel. Well set up kitchenette with everything guests need for self catering. Port pick up thoughtful service. Appreciated our hosts excellent knowledge of walking tracks. Good Sandy beach close by. Room to let tres agreable . Gentillesse de nos hotes . Lock in a great price for Vrahos Rooms - Studios – rated 9.3 by recent guests! Vrahos Rooms - Studios This rating is a reflection of how the property compares to the industry standard when it comes to price, facilities and services available. It's based on a self-evaluation by the property. Use this rating to help choose your stay! 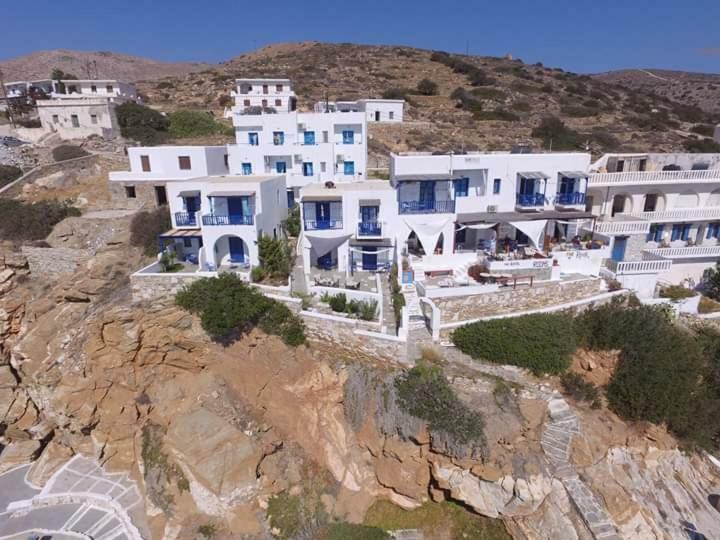 Perched on a rock right above the sea, in Alopronia of Sikinos, the traditionally built Vrahos Rooms - Studios features a colorful garden and a sun terrace with BBQ facilities. It offers air-conditioned accommodations with views over the garden or the Aegean Sea, and free WiFi access in public areas. 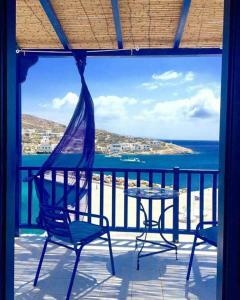 All rooms and studios of Vrahos Rooms - Studios are traditionally built and open to a furnished balcony or terrace. Each includes a Plasma TV, a fridge and a private bathroom with shower and hairdryer, while some also feature a well-equipped kitchenette. A bus stop, a supermarket, a restaurant, car rental agencies and the nearest beach can be found 100 feet away. 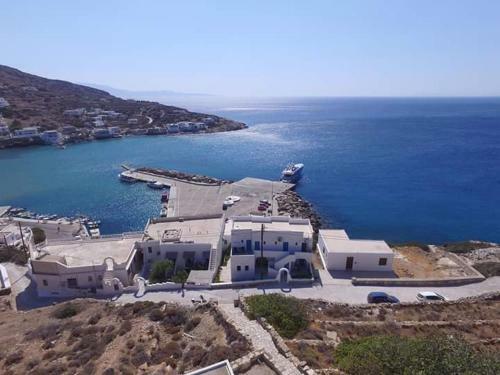 Sikinos Port can be reached within short walking distance, while Sikinos Town is at a distance of 2.5 mi. Free on-site parking is possible. This property also has one of the top-rated locations in Alopronia! Guests are happier about it compared to other properties in the area. This property is also rated for the best value in Alopronia! Guests are getting more for their money when compared to other properties in this city. When would you like to stay at Vrahos Rooms - Studios? Overlooking the Aegean Sea, this traditionally decorated, spacious studio has a well-equipped kitchenette, a Plasma TV and free WiFi access. This studio can accommodate an extra bed. 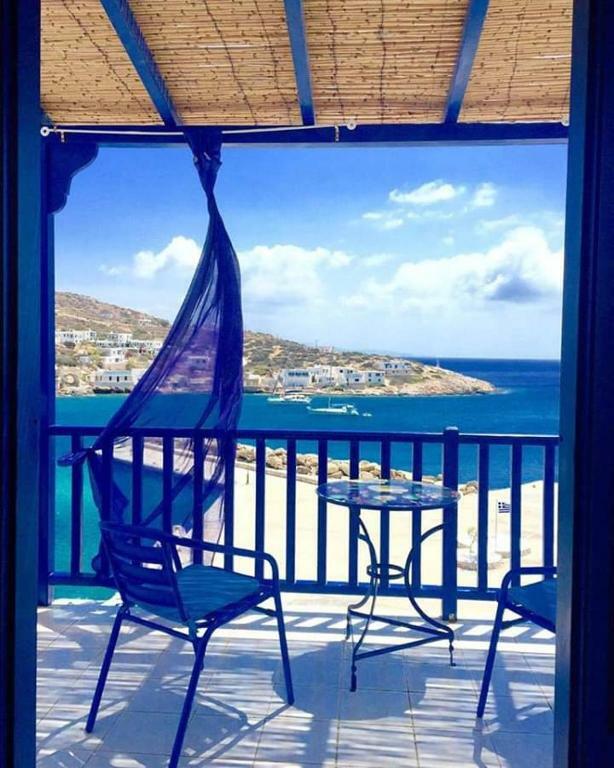 Offering Aegean Sea views, this traditionally decorated studio has a well-equipped kitchenette, a Plasma TV and free WiFi access. Offering garden views, this room features a fridge, a Plasma TV and free WiFi access. It provides access to an outdoor kitchen. Overlooking the Aegean Sea, this room features a fridge, a Plasma TV and free WiFi access. It provides access to an outdoor kitchen. My son Kostantinos and I are the owners of this small family business.We offer you all the facilities and our hospitality for a pleasant stay. We are trying to satisfy every request in order to make your stay more comfortable and we provide you with tips regarding the island and the facilities. Σε αποσταση 50 μετρων απο τη ρεσεψιον που βρισκεται στην πισω πλευρα των δωματιων υπαρχει ενα παραδοσιακο καλντεριμι που οδηγει στη μεγαλυτερη παραλια του νησιου.Ακριβωσ κατω απο τα δωματια μας κατεβαινοντας λιγα σκαλια βρισκεται το λιμεναρχειο,το γραφειο γενικου τουρισμου,ενοικιασεως αυτοκινητων, μοτοποδηλατων,η σταση του λεωφορειου,ταβερνες καθως και το μινι μαρκετ της Αλοπρονοιας. House Rules Vrahos Rooms - Studios takes special requests – add in the next step! Please note that the property reception is at the back side of the building. Please note that owners will be waiting the guests at the port and can offer assistance with their luggage. Please note that cleaning and change of towels and linen is provided every 3 days. Upon request, cleaning can be offered more frequently. Please inform Vrahos Rooms - Studios of your expected arrival time in advance. You can use the Special Requests box when booking, or contact the property directly using the contact details in your confirmation. Admittedly, WiFi was not particularly good. But then again, what do you need WiFi for when you're in paradise. The host Maria and her son met us at the port and carried our luggage to our room. 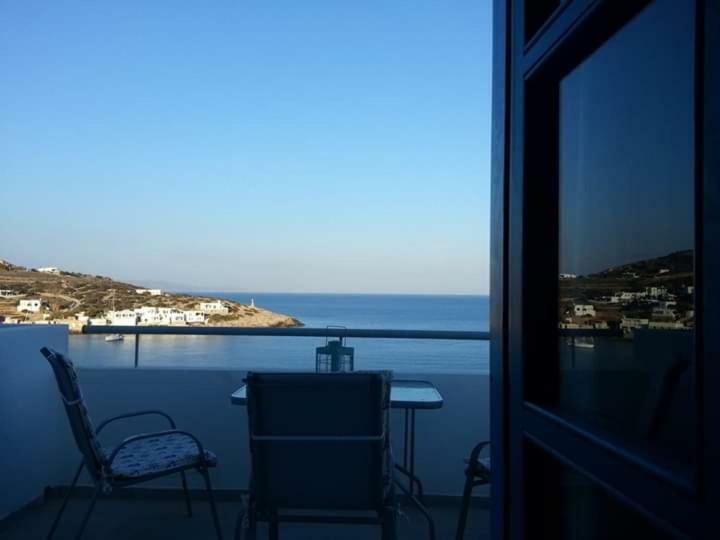 She upgraded our room from garden view to a room with a beautiful sea view without extra charge and offered us the use of the well equipped main kitchen. The place was very clean and the hosts were always with a smile. Our room had a beautiful view on the port.Very close to the beach.Quiet. Very kind staff. Very helpfull. Nothing at the rooms but as it was late in the season only one taverna open in the village. Location was excellent and landlady Maria very helpful. We stayed 5 days and should have stayed longer but we had other island visits planned. Very large kitchen for us to use and Maris kindly moved us to the front of the building with sea view.